In these ever changing times of music industry economics, the constant search for new viable funding models occupies the time of up and coming artists as much as the song writing and producing. U.S. singer-songwriter Jamie Kent is one such artist seeking ways to solve the finance conundrum and he believes he may have discovered a potential solution by democratising his work. 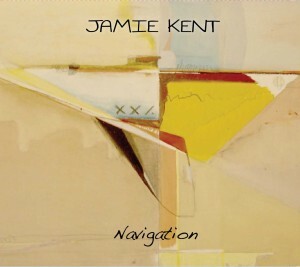 As a result of assembling a group of fan backers known as The Collective who have a varying degree of input into his career development, Kent has been able to create, produce and release his sophomore album ‘Navigation’. This collection of diverse songs from New England native Kent covers a lot of bases and has the potential to attract a fair degree of mainstream support if it lands in the right marketing hands. The album springs into life with a decent pop acoustic number titled ‘Changes’, also selected as the first single, which explodes mid song when Kent’s fine guitar strumming intensifies. The first half of the album continues to jog along with a string of fairly standard songs the majority of which are self-penned by Kent, although by now the sound has moved in a soulful direction with the Hammond organ influenced ‘The Fear’, ‘Hold On’ and title track ‘Navigation’. Kent is not inhibited in experimenting with a wide of variety of musical instruments producing a sound that crosses many genre boundaries. Whilst it can be a safe move not to too compartmentalise your music, it does risk the potential of being rejected by specialists and left to compete in the shark pool of popular music. The second part of the album sees the continued drift away from the acoustic folk sounds of the earlier tracks and a move in a funkier direction with the introduction of trumpet, trombone and saxophone. Throughout the whole album, Kent’s soulful vocals with a strong Caribbean influence flavour the songs to perfectly complement the multitude of sounds and it’s no surprise when a soft reggae beat emerges in the latter tracks. These include the only cover song on the album, Eddie Grant’s ‘Drop Baby Drop’, a track also featuring a guest alto saxophone performance from Charles Neville (of The Neville Brothers). Another distinguished guest appearance is from Jon Graboff (Ryan Adams and the Cardinals) on pedal steel but this is fairly low key and will slightly disappoint those in search of a more alt-country feel to the album. The most lasting instrumental performance on the record is the Hammond organ playing from Beau Sasser, whose presence resonates across the bulk of the tracks and is probably the sound that defines the album. Without decrying the song writing skills of Kent, the strength of the album lies within the musical arrangement that has successfully fused so many influences and sounds. It is not clear where the album will head outside of Kent’s own intense touring schedule but his brave move to seek a 21st Century post conventional recording contract funding model deserves a modicum of success.